When compiling this brochure in 2005, the criteria were that a book must be in print and have complete publication data. Today some books are E-books never printed, other books are self-printed rather than published commercially, and still others are printed only on demand. This means that very different criteria must now be used. The criteria chosen here make books available to most missionaries. Near the end of the last century, when Books in Print was available only in printed form, some libraries began using www.amazon.com to determine whether or not a book was in print. Most missionaries today have access to amazon.com, and they can use it to purchase books or have friends do so for them. Amazon.com usually has people rate books from 1-5, tells how many people rated each book, and posts the results including the average. 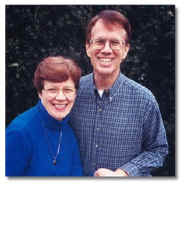 Other E-books available on this website, www.missionarycare.com/e-books, do not have ratings, but this brochure tells how many people have downloaded each listed book since 2003. These ratings, and the numbers downloaded, give buyers and downloaders ideas about how good and how popular books are. To be listed here books must be available on either Amazon.com or mssionarycare.com—new, used, or Kindle. Raising Resilient MKs: Resources for Caregivers, Parents, and Teachers. Joyce M. Bowers, (Ed.). This book was sponsored by the Association of Christian Schools International in 1998, and it has 56 chapters, 38 contributors, 3 appendices, and 510 pages. Edited by a mission administrator working with families, this collection is the best, most comprehensive book, currently available for anyone involved in MK care. This book is out of print, but ACSI has made it available free of charge as an E-book at missionarycare.com with 49,000 copies downloaded. Raising Global Nomads: Parenting in an On-Demand World, Robin Pascoe (2006). 10 chapters, 230 pages, and appendix. Written by the mother of TCKS, this book is filled with personal experiences as well as much practical advice on living in other cultures. Much has changed in our world since 1993 when the author wrote her parents’ guide. This update considers implications for TCKs growing up outside their passport culture in this globalized, digitized, and terrorized world. Available at amazon.com with 3.6 out of 5 stars. Families on the Move: Growing Up Overseas and Loving It, Marion Knell (2001). 9 chapters, Appendix, 189 pages. This is a well-written, practical book for families living overseas. It covers everything from getting ready to go, living overseas, to reentering one’s passport culture. It is valuable for missionary parents and any others who work with MKs and other TCKs, as well as those TCKs themselves who are in high school. Available at amazon.com with 3.9 out of 5 stars. Fitted Pieces: A Guide for Parents Educating Children Overseas, Janet Blomberg & David Brooks (2015 Kindle Edition). Share Education Services, 8 Chapters, 667 pages. With 84 articles (50 from Interact) appearing in the eight chapters, this is without question the most comprehensive book available on the education of third culture kids. It is a valuable resource for people considering the education of their own children overseas. Available at amazon.com with 5 out of 5 stars. Alexander, Who’s Not (Do you hear me? I mean it!) Going to Move, Judith Viorst (1995). 30 pages, written for ages 5-8. As suggested by the title, this book is about a boy who has decided that he does not want to move. After investigating other alternatives, Alexander finally reluctantly agrees to pack and go—but this is the last move he will ever make! Available at amazon.com with 4.3 out of 5 stars. Ira Says Goodbye, Bernard Waber (1988). 40 pages, written for ages 5-9. This book demonstrates how NOT to tell a child about moving and all the distress that can cause—by having the child hear about it from someone else. However, Ira finally realizes that saying goodbye is hard for everyone, hard for those who stay as well as hard for those who move away. Available at amazon.com with 4.6 out of 5 stars. Each chapter includes both a story and activities such as mazes, word searches, scrambled words, or crossword puzzles. The same download includes the following E-book for parents: I Don’t Want to Go Home: Parent’s Guide for Reentry for Elementary Children, Ronald Koteskey (2013). 68 pages, 11 chapters, 3 appendices. This E-book contains many suggestions, chapter by chapter, for parents of reentering children. Available on misionarycare.com with 16,000 of each book downloaded. Peanut Butter Friends in a Chop Suey World, Deb Brammer (1994). 17 chapters, 179 pages. Although it is written for ages 9-12, the issues are relevant to teenagers in high school as well. Written by a missionary mother of two daughters, this Christian fiction is fun to read. Set in Taiwan, it deals with a variety of issues such as making friends with those of other cultures, communicating with someone with a different language, and conflict with other expatriates. The book presents a realistic look at children finding their niche in a new school in a new country. Available at amazon.com with 4.8 out of 5 stars. Homesick—My Own Story, Jean Fritz (1982). 7 chapters, 176 pages, written for ages 8-12. This Newberry Award winning book is a true story about events occurring in the life of the author as an MK in pre-communist China. Though about events that happened 75 years ago, these memorable moments in the life of a 10-year-old girl are timeless. They are still the ones faced by TCKs today, whether they are about happenings at school, on vacation, or those marked by violence and evacuation. Parents would be wise to read this as well to see how their 6th and 7th graders may be experiencing life overseas. Available at amazon.com with 4.3 out of 5 stars. Footsteps around the World: Relocation Tips for Teens, Beverly Roman (2003). 3 sections, 104 pages. This book was written for teenagers by a Navy wife who wrote a book about moving, and then she could find no one to publish it. Determined to offer practical advice to people who were moving, she has now written more than 20 books for adults, teenagers, preteens, and children. This book is a practical one including such things as crossword puzzles, find-a-word puzzles, lists one should make, and a variety of other practical activities. Available at amazon.com with 5 out of 5 stars. Don’t Pig Out on Junk Food: The MK’s Guide to Survival in the U. S., Alma Gordon. (1993). 6 chapters, 9 appendices, 160 pages. Written for MKs by a fourth-generation MK, this book offers helpful practical advice from MKs to MKs about all aspects of transition to the USA, from preparation to identity to relationships. Each chapter includes great illustrations, questions for reflection, and work sheets. Available at amazon.com with 4 out of 5 stars. Third Culture Kids: The Experience of Growing Up among Worlds. (3rd edition), David Pollock & Ruth Van Reken (2017). 18 chapters, appendix, 333 pages. Written by authors with many years of experience working with TCKs, this book not only reveals what TCKs are like, but also goes on to devote 7 chapters to telling how to maximize the benefits of being a TCK. This book is an excellent resource for parents and teachers wanting to understand their own TCK children or the students they work with in school. It is also an excellent resource for adult TCKs wanting to understand themselves, no matter what their age. Available at amazon.com with 4.4 out of 5 stars. Understanding Adolescence, Ronald Koteskey 1987, revised 2009). 179 pages, 12 chapters. This book is for parents of adolescents and published by Victor Books in 1987. This 2009 revision ends each chapter with a section for parents. Some people do not realize that, although Jesus was a teenager, he never was an adolescent. Adolescence was invented by western culture during the last 200 years. This book explores implications of this invention. Available on misionarycare.com with 39,000 downloaded. Third Culture Kids and Adolescence: Cultural Creations, Ronald Koteskey (2009). 148 pages, 17 chapters in 7 sections). This book was written for adolescent TCKs but is relevant to other adolescents as well. During the first half of the 20th century children of missionaries were called MKs, but during the second half people realized that anyone who lived in a different culture during their developing years had much in common with MKs. This book considers the implications of combining several cultures as MKs and other TCKs do when they develop in their host cultures. Available on misionarycare.com with 27,000 downloaded.